Every now and again, you find a novel that fills you with wanderlust, that so thoroughly places you in a time and place that you feel the need to stay there for longer, to learn more about the people who inhabited it. This is such a book--a Lebanese adventure novel full of politics and intrigue, outrageous situations, charming characters, and even a brief appearance from T.E. Lawrence. It's a meditation on history and how we write it from a distance, of how the stories we tell others can grow in the passing from mouth to mouth. Let this book be your personal oasis as the summer months get hotter and the travel bug starts to get under your skin. Charif Majdalani, born in Lebanon in 1960, is often likened to a Lebanese Proust. He teaches French literature at the Universit Saint-Joseph in Beirut. 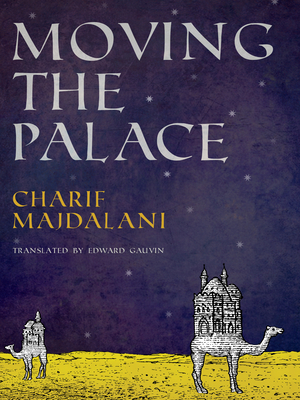 Moving the Palace is the winner of the prestigious Fran ois Mauriac Prize from the Acad mie Fran aise as well as the Prix Tropiques.